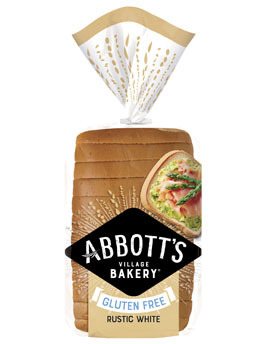 Tip Top Foodservice has expanded its range of gluten free options for the foodservice sector, launching the Abbott’s Village Bakery range of gluten free breads. 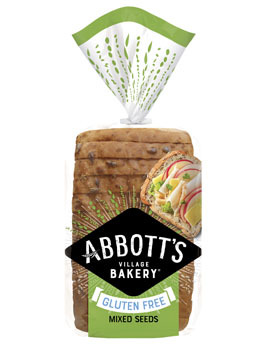 The new products from Abbott’s Village Bakery include Gluten Free Rustic White, Soy-Lin and Mixed Seeds and cater for ever-increasing demand for free-from offerings, which includes the 12.1 per cent of Australians who aren’t eating wheat or gluten*. The loaves are soft and larger than the average gluten free bread, allowing slices that are just like ‘real’ bread. “We’ve had a lot of feedback recently that the gluten free bread available on the market wasn’t good enough – the slices were too small and often they fell apart in your hands. 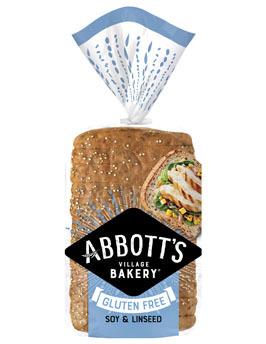 The new Abbott’s Village Bakery gluten free products have soft, larger slices that don’t fall apart and are absolutely perfect for sandwiches,” explained Darren O’Brien, National Account Manager, Tip Top Foodservice. Coeliac Australia reports that the gluten free consumer is very loyal if they have a good dining experience. 90 per cent of respondents would be very likely to return to a restaurant where they had a good gluten free experience and 65 per cent said that the coeliac in the party chooses the restaurant. “Restaurants and foodservice outlets need to keep in mind that it’s not just the gluten free customer but potentially their entire group that you could be missing out on if you aren’t providing good gluten free options,” said Darren O’Brien. The range is also dairy free and free from artificial colours, flavours and preservatives. See the full Abbott’s Village Bakery range and contact your local distributor to place an order.